Although CEREAL’s travel and style magazines popped up on my timeline throughout the last few years, I embarrassingly turned a blind eye to the incredible work of CEREAL’s team. Things came to a head when Need highlighted yet another CEREAL magazine. For their August edition, Need showed off CEREAL’s Guided series: a series outlining CEREAL’s favourite cities and offering travel tips and tricks within those cities. 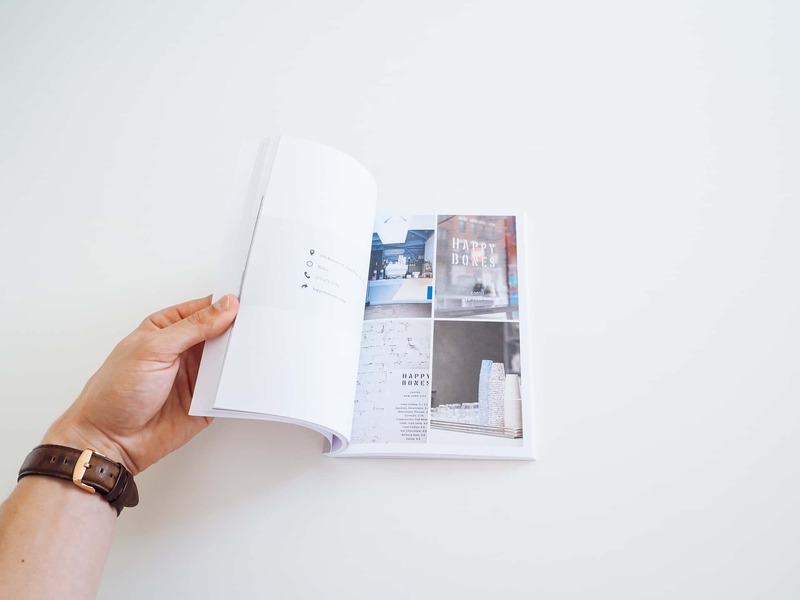 At this time, CEREAL has published two Guided books: London and New York. London is no longer for sale, although a little birdy told me CEREAL may print another run. As soon as I saw the New York Guided book, I knew I had to have it. 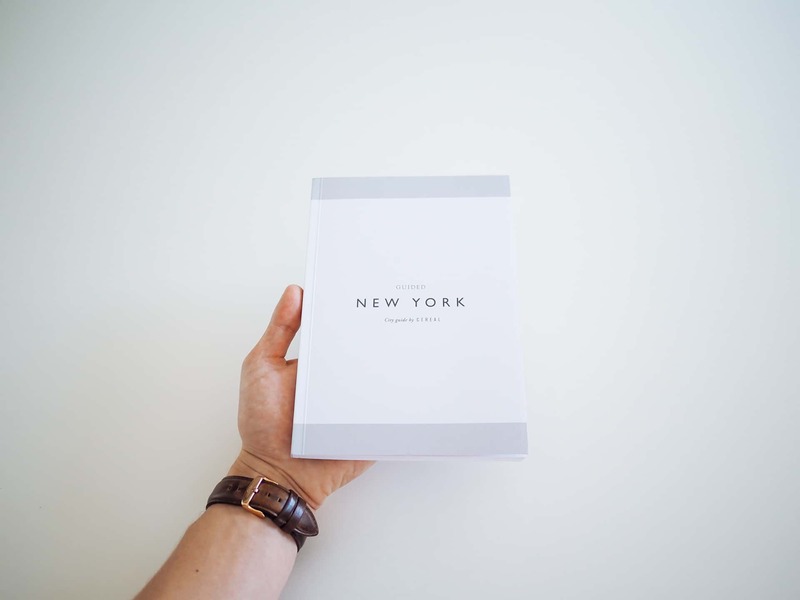 As a humble traveler capable of visiting New York once every year or two, I don’t know the city as well as I’d like to. However, it’s still my favourite city on earth. Regardless of whether the book becomes a travel companion or a coffee table placeholder, I knew I’d like it. You’re not supposed to judge a book by its cover, but CEREAL’s Guided books are the exception. 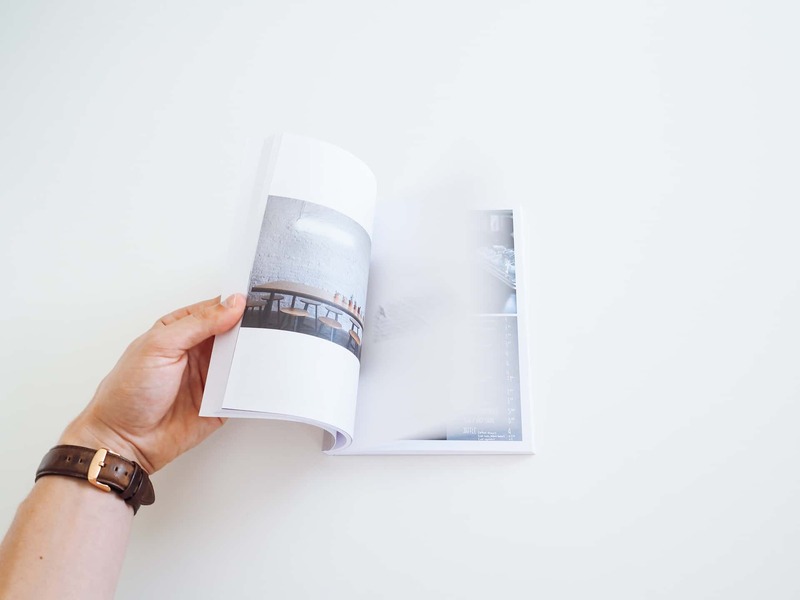 The book’s covers are printed on a high quality uncoated paper which is thick and supple to the touch. 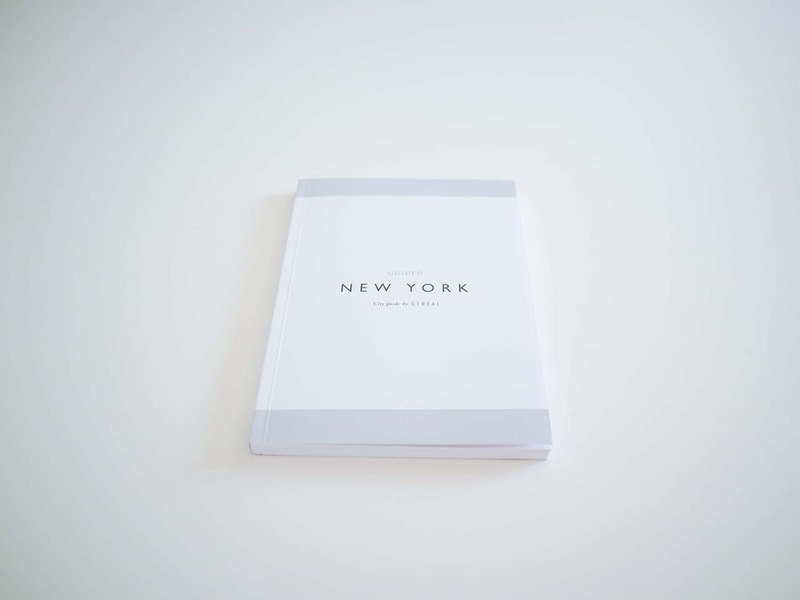 “New York” is beautifully debossed and CEREAL’s typography is teased right up-front. The cover is perfect and reflective of the book’s stunning work. 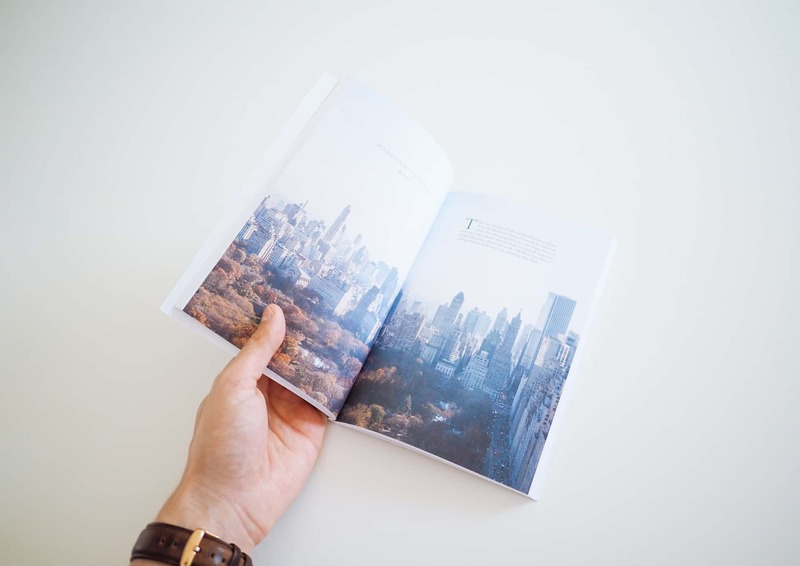 Instead of the casual staple-bound magazine or the usual travel guide full of glossy, stock images, Guided is a book. Its binding lines the book’s spine from top to bottom and is sure not to rip or tear when reading. 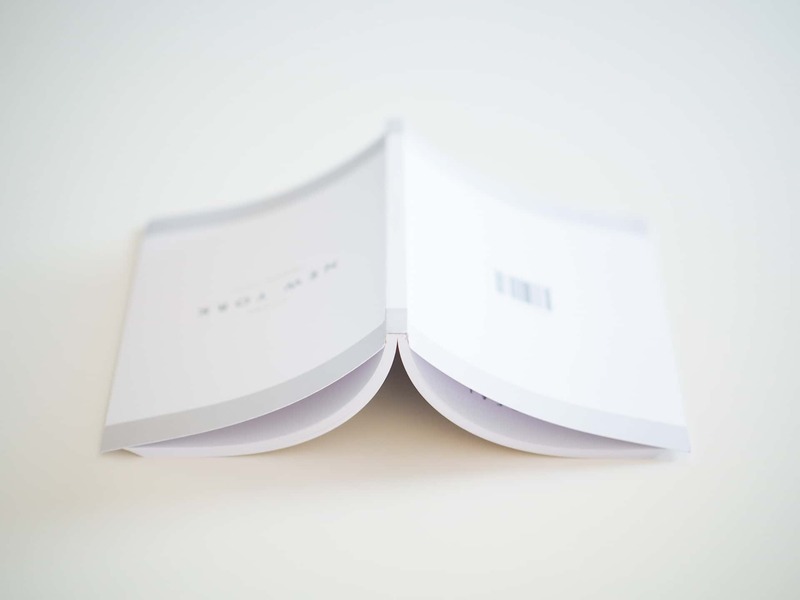 Although not a lay-flat design, the binding is thick and durable. For a travel guide, Guided’s design is unprecedented. Inside, CEREAL’s elegant style is seen cover to cover. 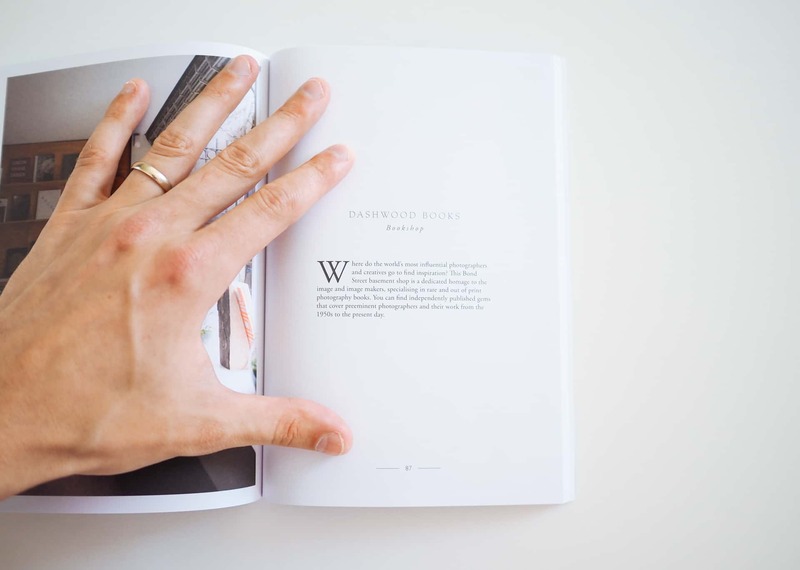 Full colour images are printed throughout the book, with some even extending beyond the page. Guided’s typography is heart-melting. The massive drop-cap serifs and the elegant body serifs are beautiful. I’m a major fan of the all-caps titles and the simple page numbers at the bottom of the page. I’m also struck by the simplicity of Guided’s info pages. After an image and a summary of each location, CEREAL gives a rundown of pertinent information (like address, neighbourhood, phone number, and website) in a simple layout with simple icons and simple typography. It’s truly a sight to behold. 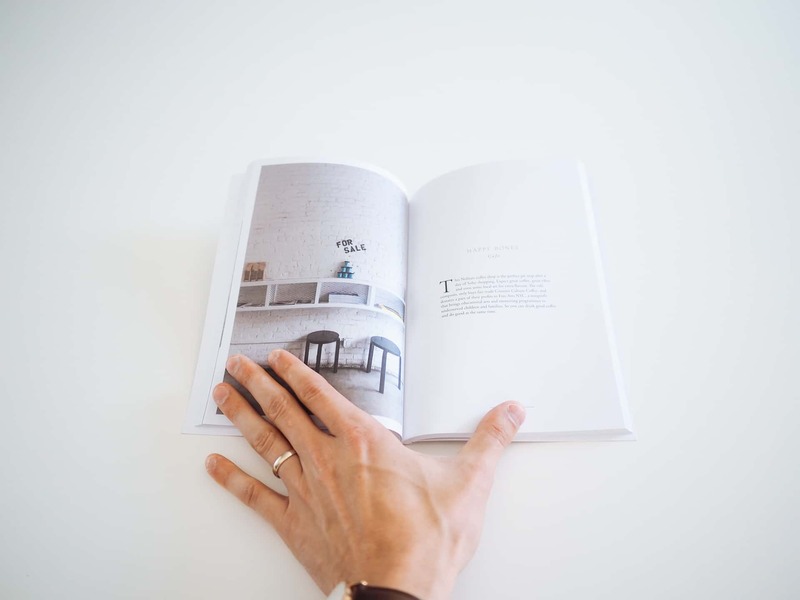 Inside Guided, you’ll find a few essays regarding the city and its personality, a plethora of high quality photography, and a fair number of interesting hotels, shops, restaurants, and locations to visit while on your trip. I was pleasantly surprised to not find a single spot I had visited during my two prior trips to New York. To me, this shows CEREAL’s team staying away from the touristy locations and, instead, finding hidden gems scattered throughout the city. Finding those hidden gems comes at a cost, though. We all know New York is an expensive city to visit, and this shows in CEREAL’s choices. Take the Mandarin Oriental as an example. CEREAL highlights Mandarin’s views of Central Park and says the views “are worth the room rate alone”. When I visited Mandarin’s website and found a standard suite for $1500 USD a night, my stomach turned. Although not all of CEREAL’s picks are so exorbitant, many of the highlighted spots are not for the faint of wallet. CEREAL’s Guided: New York is less a travel guide and more an artistic masterpiece. From materials, through to photography and typography, Guided is a lesson in masterful publishing. This is what every book should aim to feel like. It’s so good, in fact, that I found myself scouring CEREAL’s website looking for contributory roles or employment opportunities. Publications like this are projects I want to be a part of. They showcase a mastering of their craft and don’t give in to the pressures of affiliate tags and sales. They instill mindfulness and patience, two things I desperately wish to further acquire. And most of all, they showcase that which isn’t often showcased, bringing to light the untarnished and untainted diamonds lying in the rough. This is the kind of creative work I dream of doing. 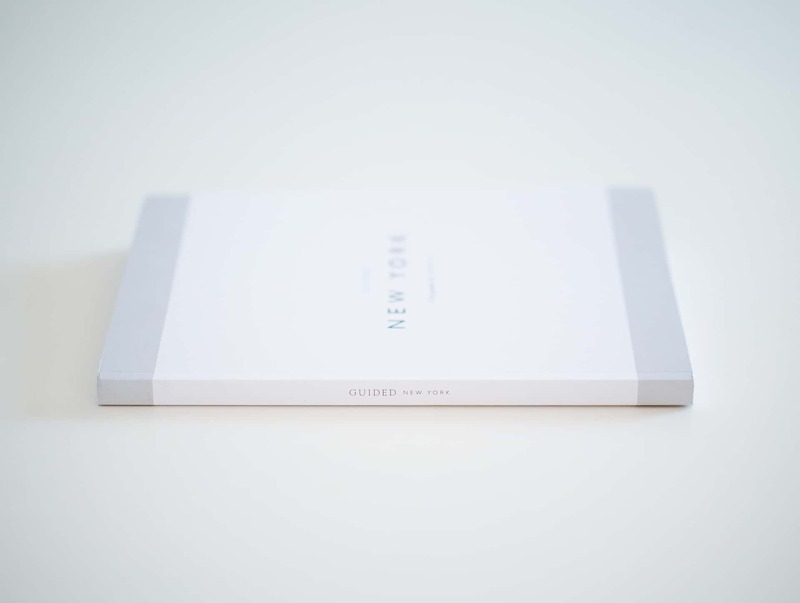 You can find Guided: New York in Need’s current edition. You can also find 15 other city guides on CEREAL’s website, which I hope one day all become a Guided book of their own.